In 1972 in a gritty section of Cardiff, South Wales, on the morning following the installation of his sculpture, British Artist, Garth Evans, recorded the comments of passers-by to this work. When this sculpture was suddenly transported to their neighborhood, residents responded with surprising passion. As they grappled with their encounter with the other, what they actually said provokes us, teaches us and moves us. This play is their words. 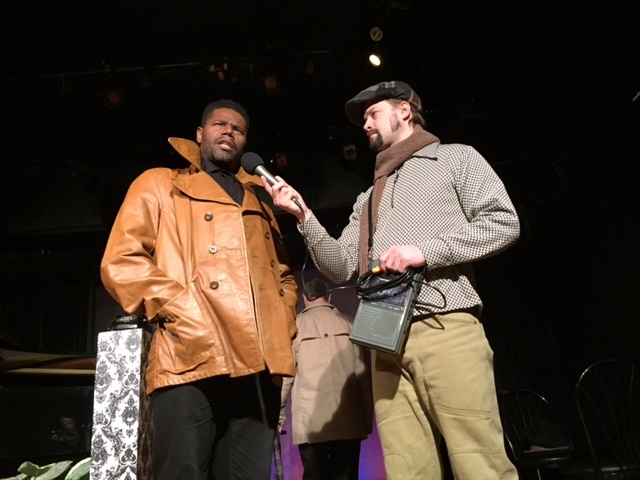 Leila Philip reviewed the 1972 tape and was excited by the idea of transforming it into a play. She produced a script, and together with Garth Evans, the artist at the heart of the controversy, began working with director Andrew Resto to create Cardiff. 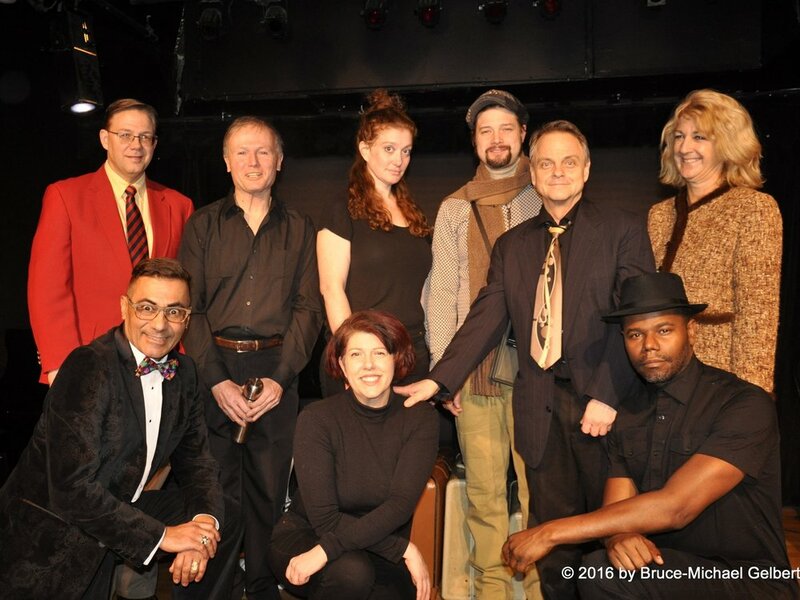 3A Productions presented the world premiere of Cardiff at The Cabaret Theatre at The Duplex (61 Christopher Street at 7the Avenue) January 25 through 28, 2017. The performance was featured in Broadway World. Leila did an interview with WorksByWomen about the process of writing the theatrical script. You can read more here. Plans to move the sculpture back to Cardiff and stage the play there are scheduled for June 2019. This will coincide with an exhibition of sculptures by Garth Evans at Chapter Arts Centre Cardiff. Check back for more information and a forthcoming website on the project.